The last few weeks I've been visiting Oregon and have found the landscape inspiring once again. 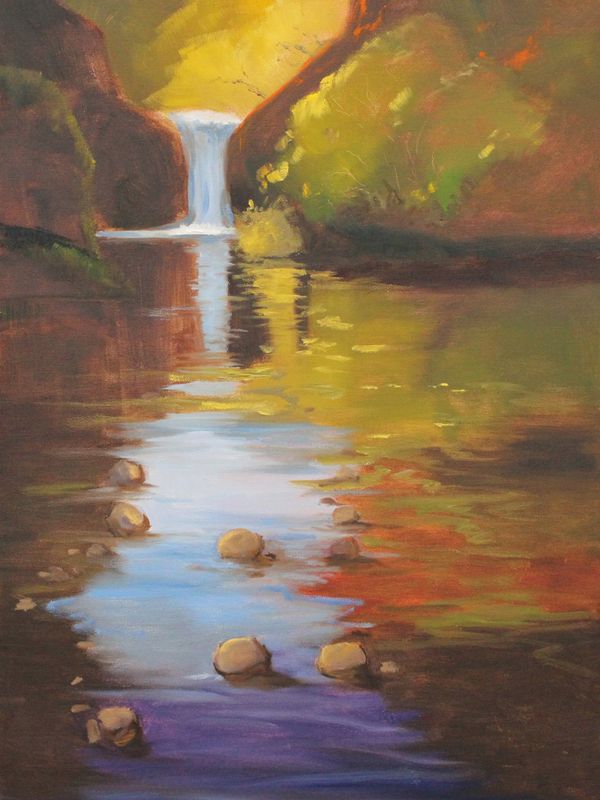 This painting is of Punch Bowl Falls in the Columbia Gorge. I have added it to my portfolio at Ugallery along with several other recent landscape paintings. This one was created with oil paints on an 18x24 inch stretched canvas. Prints are also available from my print shop. I hope you will stop by and take a look. 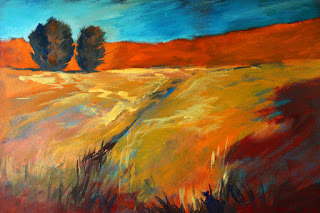 Inspired by high desert landscapes of the Western United States, this contemporary landscape painting emerged. It was created with layers of acrylic paint intended to replicate the atmosphere of open land, endless grass, and fresh air. The original painting was created on a 24x30 inch stretched canvas and has already been sold. Reproduction prints are available from my print shop. Click here for reproduction print options.